Fair Sharing Educator Guide? Download it! 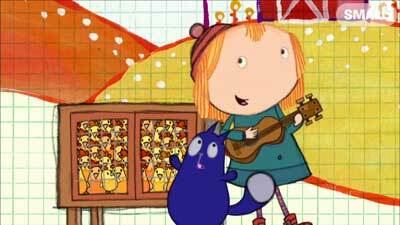 WATCH short video clips and PLAY online games for fun with Peg, Cat, and problem solving! Then, EXPLORE the concepts in small or large groups and SHARE them with parents and caregivers through exciting hands-on activities for home, school, and anywhere in-between! Peg, Cat, and Ramone help four hungry pirates to each get a "fair share" of yummy peaches. 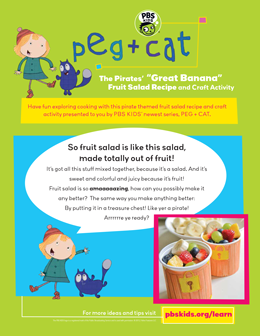 Those cranky pirates need Peg and Cat's help to divide one banana into equal pieces. 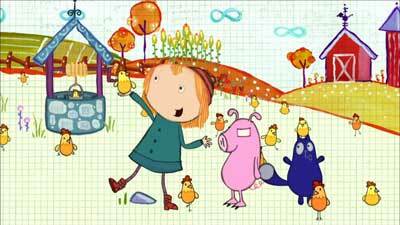 Peg and Friends sing a song about how helpful fair sharing can be. Problem solved! The Problem is solved! We solved the problem! The problem is solved! 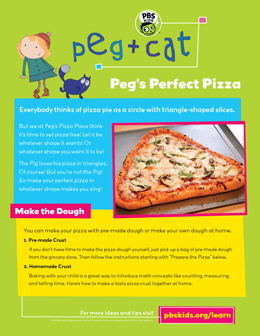 Use the scene with the pizza to practice fair sharing with Peg and Cat. "X" marks the spot for buried treasure: tasty snacks to be evenly shared in the show and offline activities! 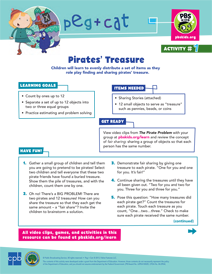 Pretend to be pirates and learn to evenly distribute a set of items from the treasure chest. 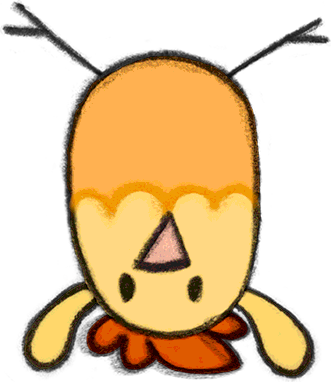 Practice dividing a whole object into equal parts while preparing a picnic for a group of hungry pirates. 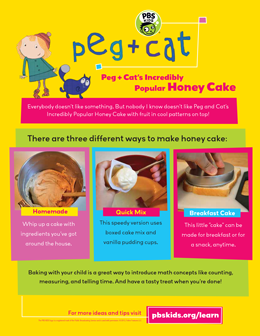 Practice simple division and fractions while whipping up this delicious treat! More fun with food, friends, and fair sharing! Mmm! Math never tasted so good! 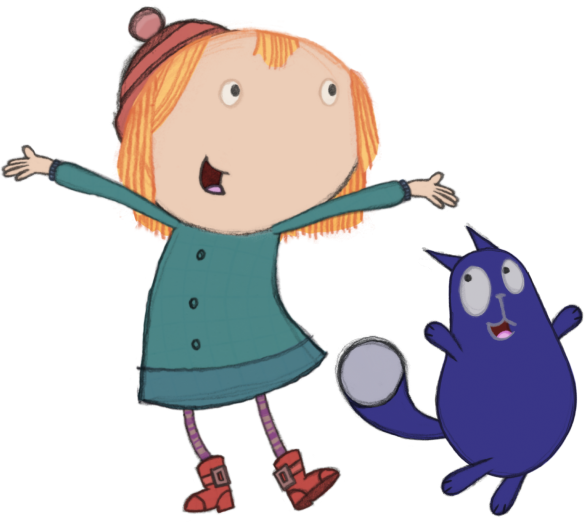 Visit the Peg + Cat website! 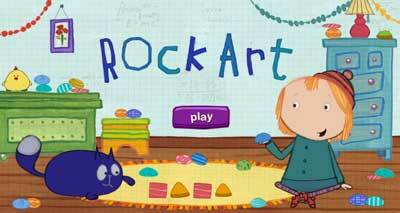 Want to have more fun with PBS KIDS' newest stars? 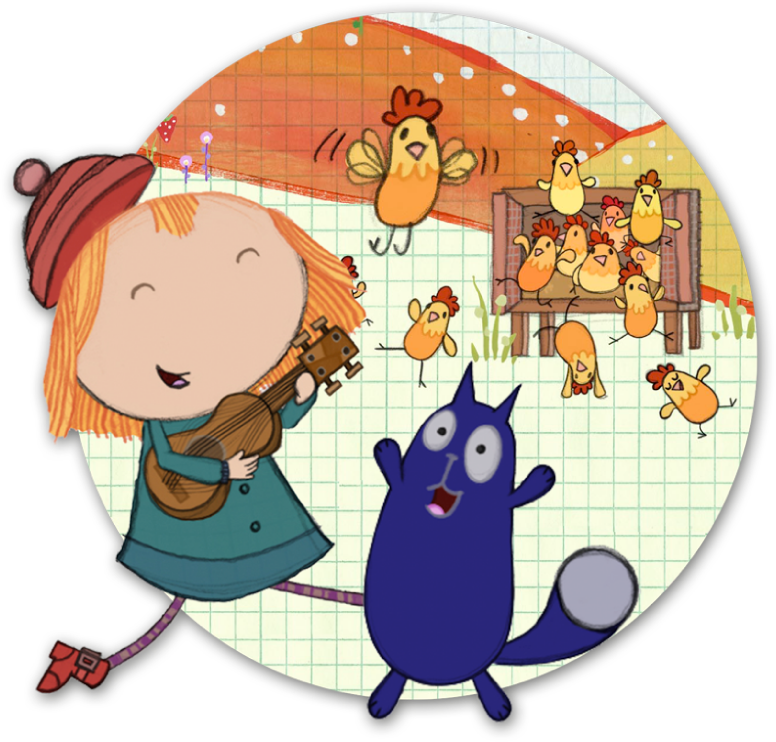 The PBS KIDS logo is a registered mark of the Public Broadcasting Service and is used with permission.